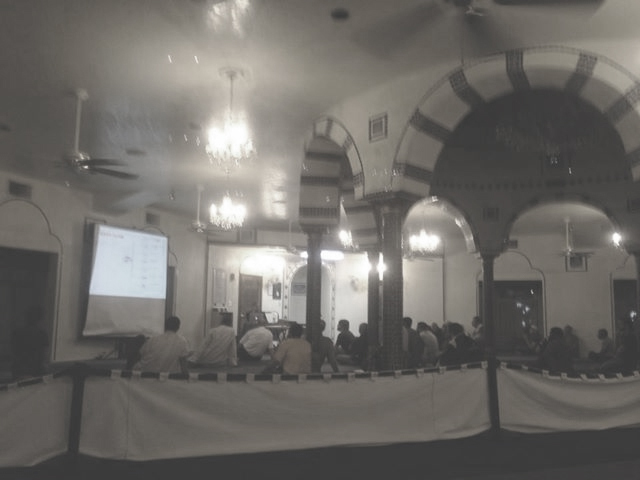 Last Friday, October 18th – CAIR-AZ was proud to present at Tempe Masjid’s Friday Night Halaqah. The topic of the evening was Islamophobia – specifically covering CAIR National’s recent report: “Legislating Fear: Islamophobia and it’s Impact in the United States.” Click Here: to view the entire report. The event was well attended – and very eye-opening according to many of the attendees. We discussed what is known as the “Inner Core” 37 Groups who are fomenting Islamophobia and the 32 groups making up the “Outer Core” as well. The main objective of the presentation was to highlight the major sources of funding within the “Islamophobia Industry” and highlight key players who are benefiting from this industry. Over $119,000,000 has been spent in funding these groups – a figure that is shocking, yet conservative at the same time. CAIR-AZ hopes to hold this vital presentation at community centers throughout the valley in the coming months.